DETAILS: Perfect for those DIY floral enthusiast and those that like the just picked from the garden look. 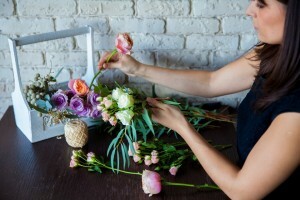 In this intimate 2 hour workshop, students will learn basic techniques of floral balance and harmony with colours and textures using the best blooms summer has to offer! Everyone will leave with a fun memorable evening and a beautiful creation! COST: $65 includes all product and materials and a light dinner with refreshments.